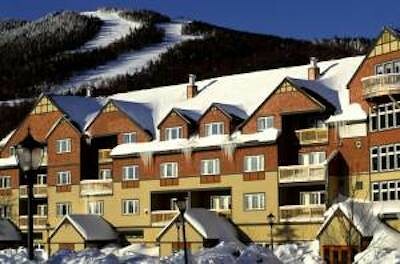 Vermont’s resorts celebrated a stellar season at the Vermont Ski Areas Association annual meeting at Killington Resort. 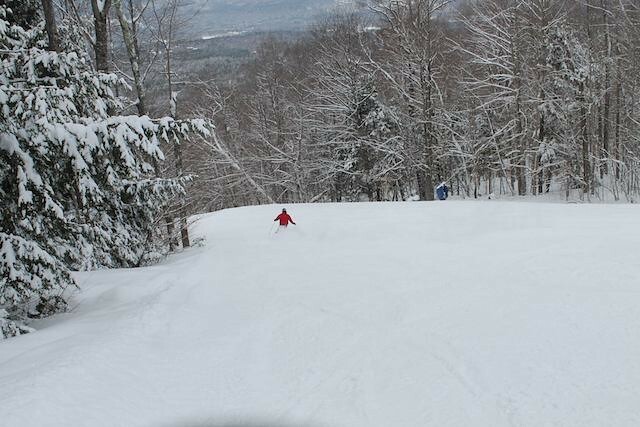 There were 4,503,269 skier and rider visits, nearly identical to last year’s near-record numbers. 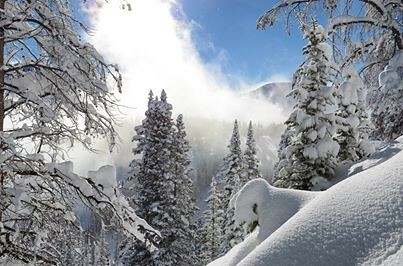 Winter lodging books have closed according to DestiMetrics latest Mountain Market Briefing and summer’s early look is good. 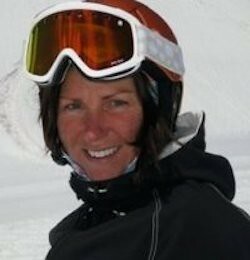 Conway, NH resident Jessyca Keeler has been selected by Ski New Hampshire's board of directors to serve as Executive Director for Ski New Hampshire. An ad campaign for Swiss Tourism, dubbed “Pure White” and created by LIQWID, has won the “Best Travel Online Award” presented by the Web Marketing Association. 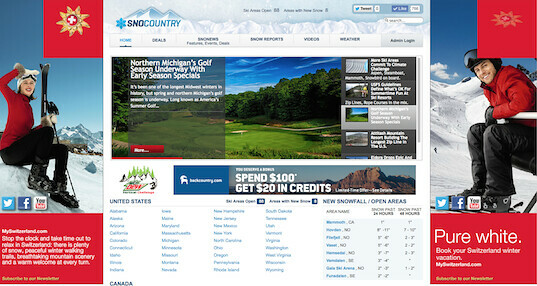 The ad campaign was specifically created for delivery on SnoCountry.com this winter. 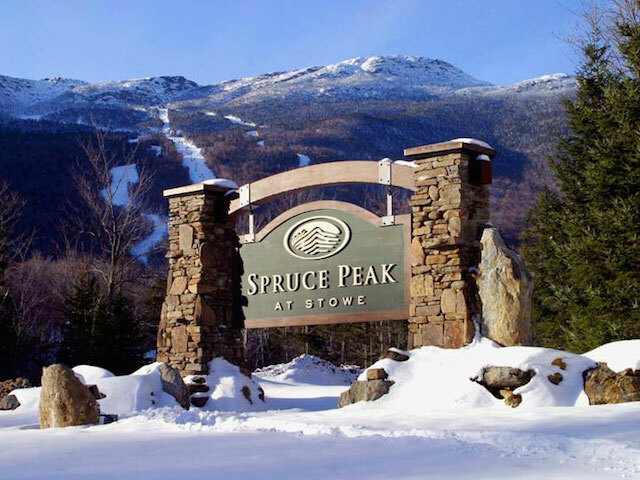 Spruce Peak at Stowe Mountain Resort has retained its designation as a "Certified Audubon Sustainable Community" through the Audubon International Sustainable Communities Program. 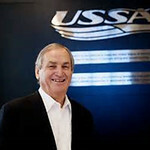 Bill Marolt, recently retired president and CEO of the U.S. 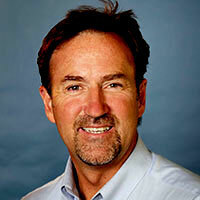 Ski and Snowboard Association received the Snow Sports Recognition Award from SnowSports Industries America (SIA). Stacey Wooley, a member of the U.S. Biathlon Team in the 1998 Winter Olympics at Nagano, Japan has been named development director for the U.S. Ski and Snowboard Hall of Fame. 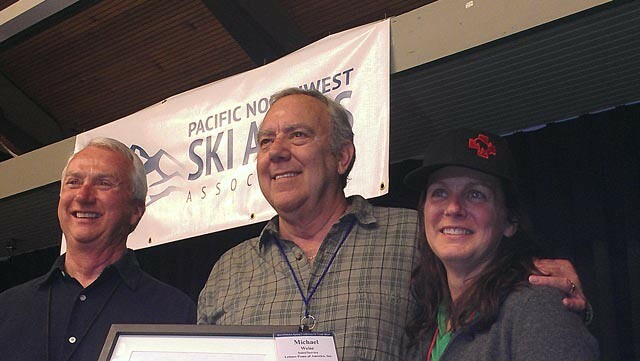 The Pacific Northwest Ski Areas Association (PNSAA) has awarded honors to three resort managers. Andy Wirth, president and CEO of Squaw Valley Ski Holdings has been named Far West Citizen of the Year by Disabled Sports USA. 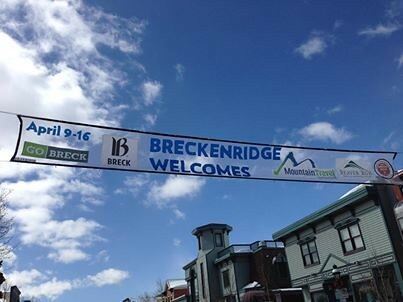 Northstar Travel Media, a business-to-business information company based in Secaucus, N.J., has acquired Mountain Travel Symposium (MTS), the annual business exchange conference and forum that concludes today in Breckenridge, Colo. This year’s 39th annual event attracted nearly 1,200 travel professionals from all over the world. 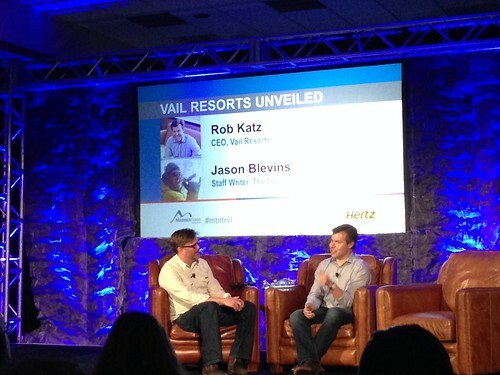 A wave of laughter swept over the audience of several hundred mountain travel professionals when Denver Post staff reporter Jason Blevins opened his interview with Vail CEO Rob Katz during a general session Sunday at the 39th annual Mountain Travel Symposium (MTS) with the comment “so you just got back from Park City?” More than 1,200 people are attending the week-long business-to-business event in Breckenridge, Colo.
Lodges throughout the country have posted a 10.4 percent increase in revenue this winter, according to the just released monthly data report released by DestiMetrics. 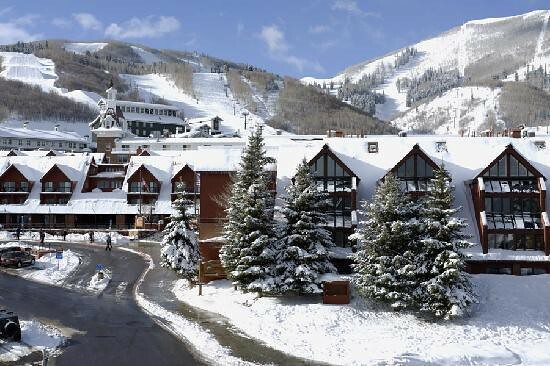 Western resorts have already eclipsed last year’s total overall revenues. VacationRoost Group Inc. (“VR”) based in Salt Lake City, Utah has announced a substantial expansion of its Vacation Home Reservation Network by acquiring LeisureLink, a distributor located in Pasadena, Calif. 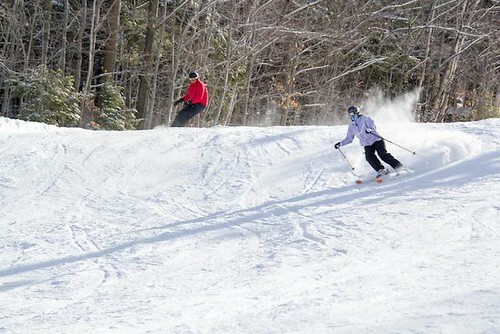 The 3.26 million winter and summer visitors to New Hampshire’s winter and summer resorts has resulted in a $1.15 billion impact in direct and secondary sales for the 2012-13 season. 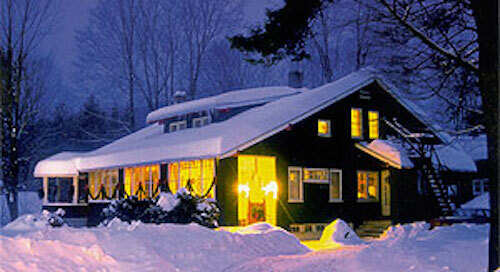 Ski N.H., a trade association, has released official economic study for that period. A “halftime report” from DestiMetrics is showing an overall 4.7 percent increase in occupancy compared to last year and 10 percent increase in revenue moving into the second half of the season. Company officials credit the jump to divergent weather patterns in the east and west and continued good economic news. 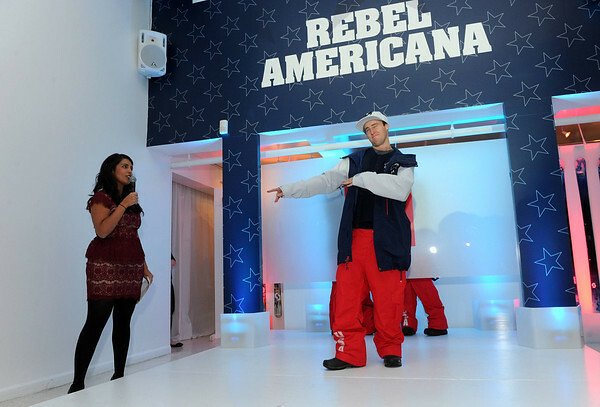 The North Face, one of the most recognized global outdoor brands, has been honored by the United States Ski and Snowboard Association (USSA) and SnowSports Industries America (SIA) for its work with the new Olympic sport of freeskiing. 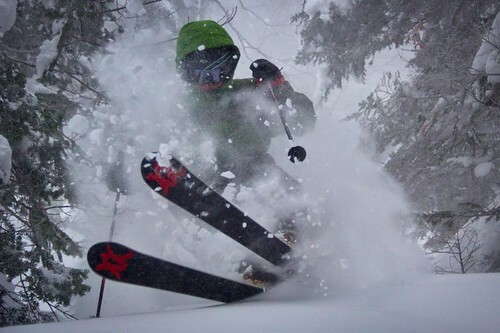 Intrawest Resort Holdings Announces IPO Pricing; Proceeds For Acquisitions? An initial public offering of 15,625,000 shares of its common stock at $12 per share has been announced by Intrawest Resort Holdings. Okemo Mountain Resort in Ludlow was named one of 27 companies on 2014’s best Vermont places to work list. 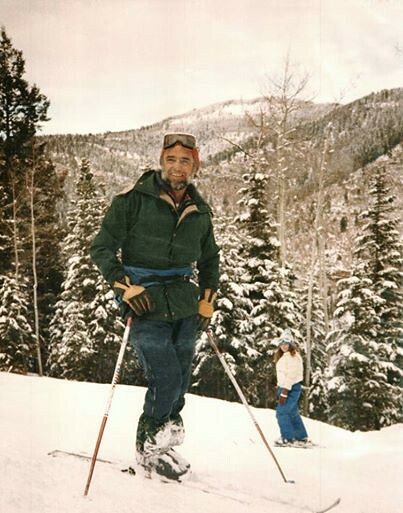 Lloyd Bolander, founder of New Mexico’s Sipapu Ski and Summer Resort, has died, 62 years after he opened northern New Mexico’s oldest ski area.